Europe’s population is growing older, leading us into many societal challenges which those changes are bringing. In the future there will be higher absolute numbers of elderly people, a larger share of elderly and longer healthy life expectancies. 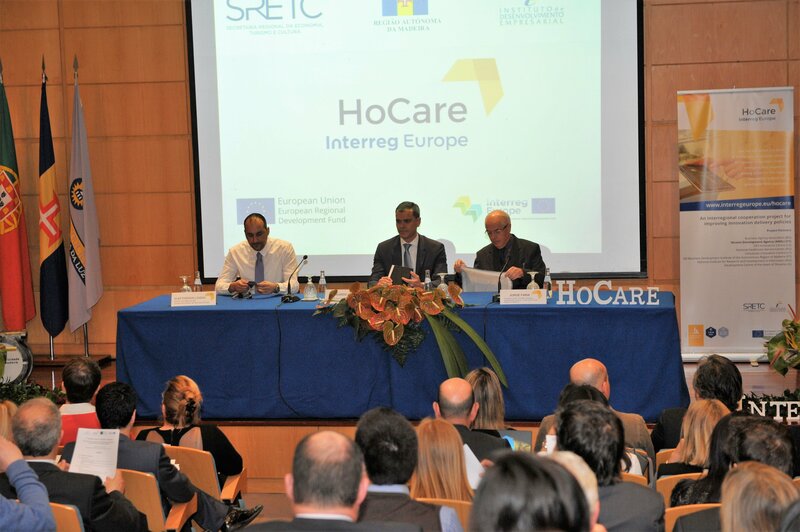 International Thematic Workshop on home care R&I organized on 27th January 2017 in Funchal (Madeira) offered many opportunities to exchange experiences and good practices from the field of innovative solutions for home care. 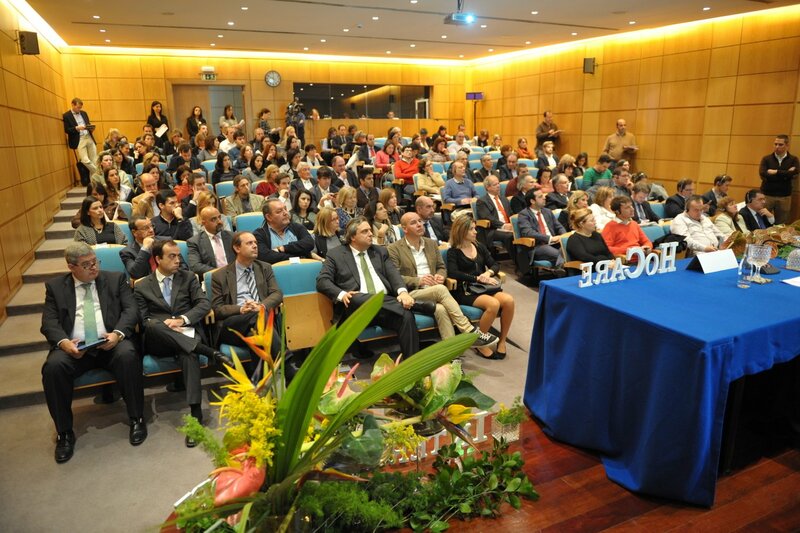 More than 100 participantsattended the event which was organized by Business Development Institute of the Autonomous Region of Madeira (IDERAM). 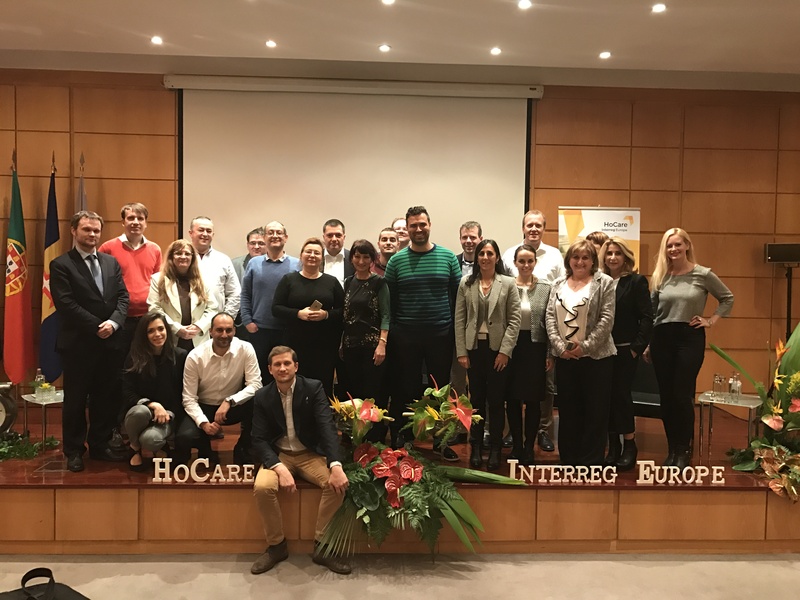 The workshop was part of European project “HoCare” which deals with the issues of ageing population and focuses on boosting creation of innovative solutions for home care through quadruple-helix cooperation. 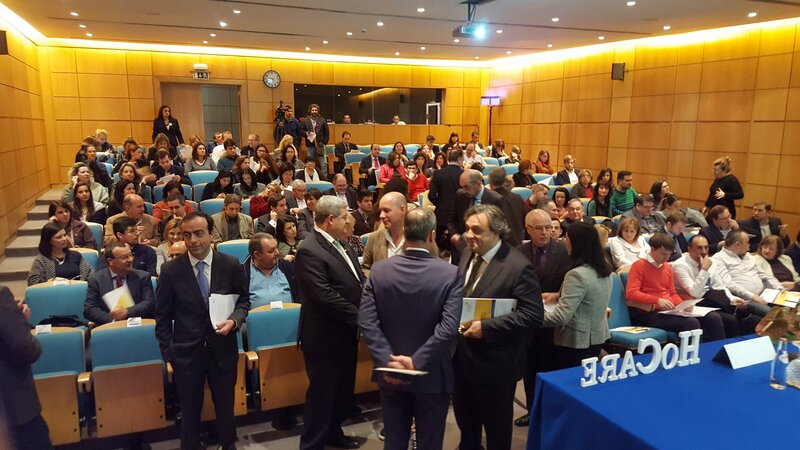 Partners from Portugal, Cyprus, Slovenia, Bulgaria, Romania, Lithuania, Hungary, and the Czech Republic attended the event bringing with them also the relevant stakeholders from the field of home care. Current situations regarding home care research and innovation support and good practices from participating countries were presented at the workshop. 3 interactive working groups enabled discussions on possibilities for transferability of good practise projects or management / strategic focus of Operational programmes. 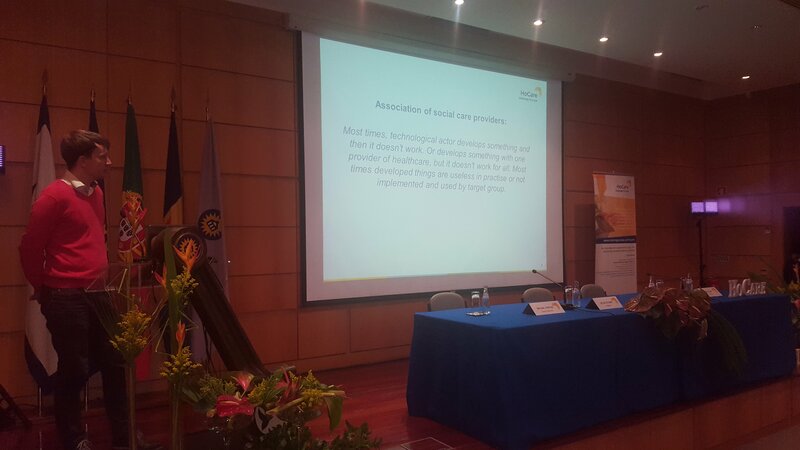 The focus was especially on generation of innovation in home care by addressing unmet needs identified by formal and informal providers of health care. HoCare project follows “quadruple-helix” approach which is an innovation cooperation model where users, businesses, research actors and public authorities cooperate in order to produce innovations. 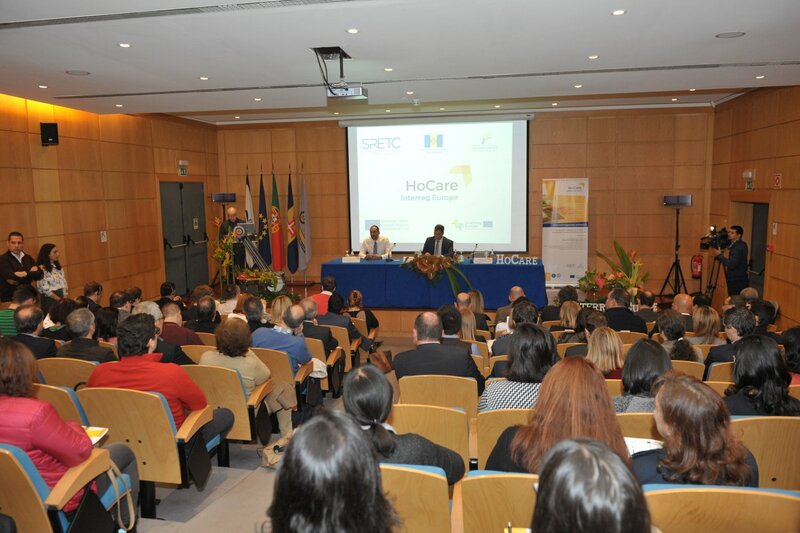 International thematic workshop on home care R&I organized in Funchal brought many good practices from the field of innovative solutions for home care, and exchange of knowledge and experiences among participants from different European regions. DEX Innovation Centre, as the author of Overall regional situation in home care R&I and quadruple-helix cooperation in R&I in the Czech Republic presented the situation in the Czech Republic, including 1 of the identified good practise projects already implemented in the country. Presentations for CZ situation and 1 good practice project is available below. The next international thematic workshops will take place in Budapest (Hungary, for public driven innovation) in March 2017 and in Litija (Slovenia, for faster delivery of innovations via quadruple-helix cooperation) in June 2017.